"Military-thriller writer Morrell switches genres here in a riveting novel packed with edifying historical minutiae seamlessly inserted into a story narrated in part by De Quincey's daughter and partly in revealing, dialogue-rich prose." 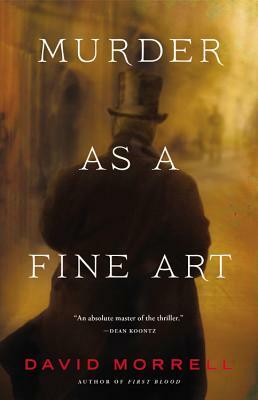 " Murder as a Fine Art is a masterpiece-I don't use that word lightly-a fantastic historical thriller, beautifully written, intricately plotted, and populated with unforgettable characters. It brilliantly re-creates the London of gaslit streets, fogs, hansom cabs, and Scotland Yard. If you liked The Alienist, you will absolutely love this book. I was spellbound from the first page to last."